Renault’s new signing Daniel Ricciardo has said he believes he has become a “more mature person” as a result of the struggles he went through in 2018 when driving for Red Bull. Speaking at the launch of Renault’s R.S.19, Ricciardo said, “Everything I learnt in 2018 will make me a better version of myself in 2019. The difference will be a more mature person. I have more clarity of where I’m going and I am for that to be shown with good results on track. Ricciardo suffered eight DNFs in 2018 thanks to mechanical failures, but still managed to take two race wins on his way to sixth in the drivers’ championship, two positions behind Red Bull team-mate Max Verstappen. 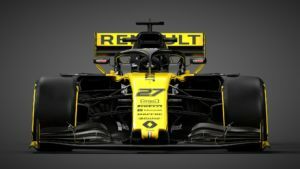 Since their return to F1 as a works team, Renault have only improved, going from ninth in the 2016 constructors’ championship to sixth in 2017 and then to fourth in 2018. Ricciardo, who will be driving alongside Nico Hulkenberg in 2019, expressed his keenness to get on with the job and help elevate the team to the next level. “Renault has a massive history in motorsport, so to be a part of the next step of their Formula 1 journey is an exciting challenge,” he said. “I’m here to do a job on track and drive as fast as possible, but I would like to bring the team energy. I want to put a spring in everyone’s step because that’s part of my job and also my character.